From 2006-2008, Dr. Longo served as the director of the Harry T. Wilks Leadership Institute, an endowed civic leadership center at Miami University in Ohio. He also served as a program officer at the Charles F. Kettering Foundation in the area of civic education and directed Campus Compact’s national youth civic engagement initiative, Raise Your Voice. Nick is author of a number of books, articles, and reports on issues of youth civic education, community-based leadership, global citizenship, and service-learning. 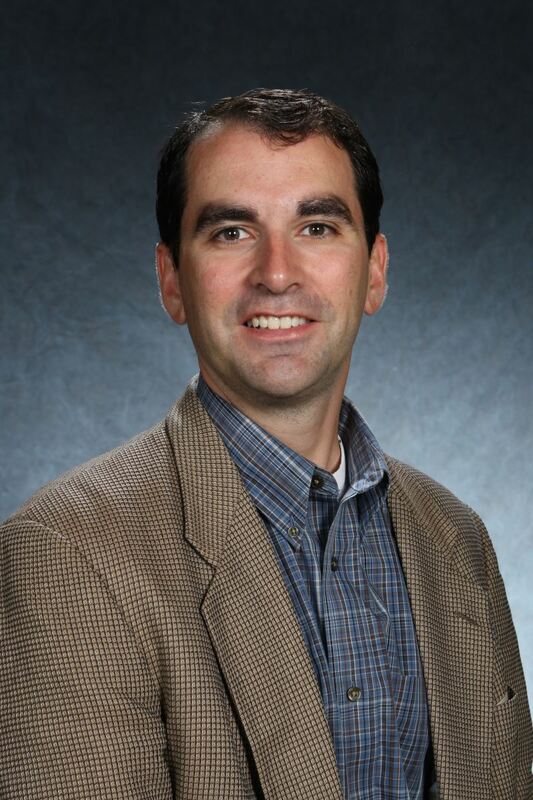 Dr. Longo will facilitate several learning opportunities on campus. All events are free and meals are included, but REGISTRATION is required. For questions, please contact April Marshall, aamarsha@uncg.edu. Nicholas V. Longo, Ph.D., is chair of Public and Community Service Studies and professor of Global Studies at Providence College. From 2006-2008, he served as the director of the Harry T. Wilks Leadership Institute, an endowed civic leadership center at Miami University in Ohio. He also served as a program officer at the Charles F. Kettering Foundation in the area of civic education, and directed Campus Compact’s national youth civic engagement initiative, Raise Your Voice. Nick is author of a number of books, articles, and reports on issues of youth civic education, community-based leadership, global citizenship, and service-learning. His publications include: Why Community Matters: Connecting Education with Civic Life (SUNY Press) and several co-edited volumes, including From Command to Community: A New Approach to Leadership Education in Colleges and Universities (Tufts University Press), Publicly Engaged Scholars: Next Generation Engagement and the Future of Higher Education (Stylus Publishing), and Deliberative Pedagogy: Teaching and Learning for Democratic Engagement (Michigan State University Press). He holds a Masters in Public Affairs from the Humphrey Institute and a Ph.D. in education from the University of Minnesota. • Shaffer, T. J. (2017). Institutions Supporting Democratic Communication Among Citizens. National Civic Review, 106(1), 32-41. In this interactive workshop, participants will discuss the future of engagement, exploring the landscape of public engagement strategies across higher education, and more specifically how UNCG can continue to be a leader in these efforts. The session will examine the roles and responsibilities of UNCG as an engaged institution educating democratic citizens to be effective in these polarizing times. This interactive workshop will examine the connections between local and international engagement towards educating global citizens. Specifically, we will explore various approaches to community-based global learning and how local engagement can undergird global education. This student workshop will focus on how we might re-imagine leadership as something that shifts from command and control, towards community and relationships. The session will include conversations and skill-building activities to explore how leadership can be something we can all do, together. This breakfast conversation will engage practitioners in a conversation about the role of supporting and mentoring students to be active and engaged citizens, as well as successful students and future professionals. 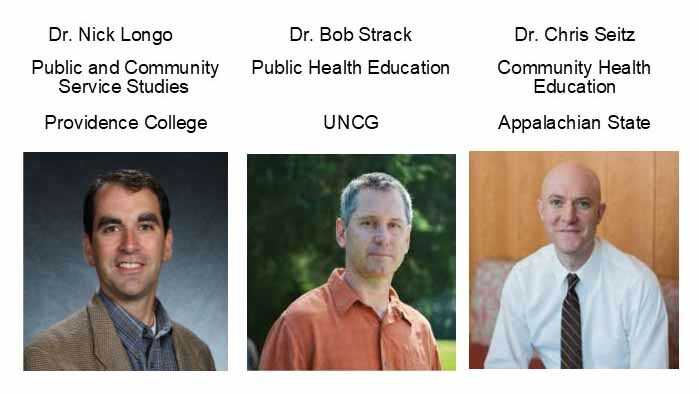 Join Dr. Nick Longo, Dr. Bob Strack, and Dr. Chris Seitz for a lunch discussion about photovoice as a form of narrative methodology that is useful in research, community action, and teaching. This session is for faculty, students, staff and community members who would like to deepen their understanding of Photovoice and how it can be used to achieve key community engagement goals. The speakers will share experiences and resources, as well as facilitate conversation about integrating community-engaged narrative methodologies into our work. Strack. R.W., Aronson, R., Pulliam, R.M., Seitz, C., Orsini, M. (In Press-Mid 2018). Looking Through the Lens of Black Males on a Predominantly White Campus: Using Photovoice to Uncover Issues and Advocate Change. Journal of College Student Development. Seitz, C.M., Strack, R.W., Rice, R., Moore, E., DuVall, T, & Wyrick, D.L. (2012). Using the Photovoice method to advocate for change to a campus smoking policy. Journal of American College Health. 60(7): 537-540. Seitz, C.M., Reese, R.F., Strack, R.W., Frantz, S., West, B., (2014). Identifying and improving green spaces on a college campus: A photovoice study. Ecopsychology; , 6(2), 98-108, DOI: 10.1089/eco.2013.0103. June. Massengale, KEC., Strack, R., Orsini, M. & Herget, J. (2016). Photovoice as pedagogy for authentic learning: Empowering undergraduate students to increase community awareness about issues related to the impact of low-income on health. Pedagogy in Health Promotion, Vol 2(2), 117-126.